The Island San Lazzaro degli Armeni is not quite a secret; although, it is secretive. It is the kind of place where the simple things in life – a shared meal, an artichoke garden, an old book – somehow seem magical and the public’s access to that magic is limited. San Lazzaro degli Armeni is an island in the Venetian Lagoon. 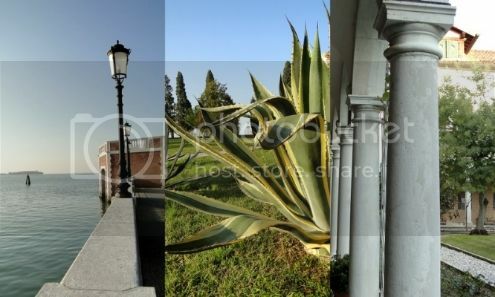 Everyone knows the well-worn tourist sites in Venice. We’re all familiar with San Marco, the Grand Canal, the Doge’s Palace and Harry’s Bar. What I enjoyed most about spending two months in Venice was getting to know the city beyond these sites. Sure, sometimes I too got stuck in the work-home-bar triangle, but in a city like Venice it is easy to find the extra energy to stay up a little later or to wake up a little earlier. This is because when it comes to art, culture, history and food, as much as there is on the tourist radar there is even more off of it. San Lazzaro degli Armeni is not quite a secret; although, it is secretive. It is the kind of place where the simple things in life – a shared meal, an artichoke garden, an old book – somehow seem magical and the public’s access to that magic is limited. I spent nearly a month in Venice unaware of its existence and as soon as I learned of the island I became obsessed with visiting it. One evening after work (located somewhere between the home and bar axes of the work-home-bar triangle), I stumbled upon a post that the food writer and photographer Emiko Davies wrote about San Lazzaro. San Lazzaro is a small island. It is home to an Armenian monastery, thirty or so monks, a library with more than 150,000 books and 4000 manuscripts and gardens well populated with artichokes and roses. There are rumoured to be peacocks as well, although I never saw them. The monks are very private and there is only so much of the island that visitors may see. Visitors can only tour the monastery with a guided tour and there is one each day at 3:30pm. The tour covers both the history of the monastery as well as the history of Armenian Christianity. The monk whose tour I attended looked so peaceful as he recited the words that he knows so well. At times he had his eyes closed, with his hands casually crossed and resting on his belly, as he told us the history of his home, room by room, first in English and then in French. Named after the patron saint of lepers, St. Lazarus, a leper colony was founded on this isolated island in the twelfth century and then it was later abandoned in the sixteenth century. 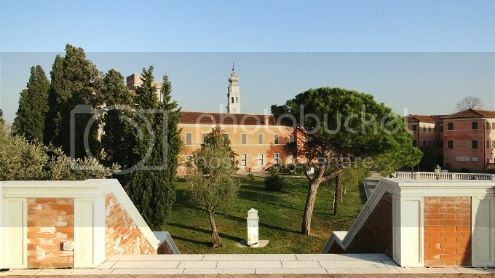 After being abandoned, the council of Venice gifted the island to a group of Armenian monks in 1717, including Mekhitar. It has been inhabited by Armenian monks ever since. Although I do have an interest in Armenian culture and the type of museums that you find only in places like rather isolated monasteries, I went to San Lazzaro for the jam. The monks eat rose petal jam for breakfast. May is when the roses are in full bloom and so the monks harvest all of their rose bushes and can about 5000 jars of jam in a few weeks time. They then sell some of the jam in the monastery’s gift shop and then save the rest to eat each morning on buttered bread. The jam itself is stunning both in color and flavor; however, I like it even more knowing how the monks enjoy it at breakfast. For every meal, the monks sit and eat in silence. A painting of the Last Supper watches over them. They gather in a large dining room made with wood probably old enough to be considered ancient. At three long tables all of the monks sit on one side of the table, except for one. At each meal one monk reads to the others. He stands in a small balcony and reads biblical texts out loud. The others eat with their mouths and listen with their ears. Each meal becomes both a lecture and a moment to let both thoughts and tastes linger. I haven’t tried my hands at making rose petal jam. For now I prefer to leave it to the monks so that I always have a reason to go back to San Lazzaro. However, if you have a generous rose garden or if you stumble upon a small fortune of wild roses (or roses that have not been sprayed with chemicals), Emiko has a recipe for rose petal jam. She spent some time at the monastery when she was training as an art conservator. Although the monks did not share their recipe, they did share their technique; the monks massage the roses in order to enhance both the scent and the color of the petals. I can only think of a few things more beautiful and humble than the monks harvesting the roses from their own garden and then gently massaging them to make jam. And one of those things is the first time that I ate the jam. After visiting the island, friends and I went back to my apartment, opened a bottle of prosecco and gently spread the jam on pieces of flat bread with generous slabs of soft goat cheese. That whole day was magical and we think that it was all because of the rose petal jam that must somehow passed on the monks’ blessings. Rose petal jam can be almost achingly sweet which is why it goes so well with creamy goat cheese. The cheese absorbs and balances out the sweetness of the sugar and the perfume of the roses. It is a little too sweet, I find, to just have it on toast, but it tastes like a dream with goat cheese, or stirred into some hot oatmeal or cold yogurt. 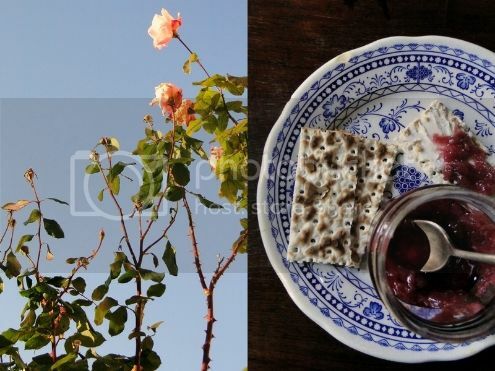 Really enjoyed your article on Armenian monks making rose petal jam in San Lazzaro, Italy. It just gave me a sense of peace and a little mystical beauty the way the monks eat breakfast with rose petal jam on flatbread with goat cheese. My daughter brought me some rose petal jam from San Francisco, California. I loved it, but yes it was too sweet, even though it smelled delicious. I’m sure the goat cheese balances it out! In India my native country, we use rose water on desserts and pilav. Thanks Fatima! I’m glad to hear that you enjoyed the article! Actually, the first place I tried rose petal jam was in India. I was in Pushkar and when I brought some back to Delhi to have with toast it was so delicious, but so, so sweet. But now I always associate rose petal jam both with Pushkar and with Venice. 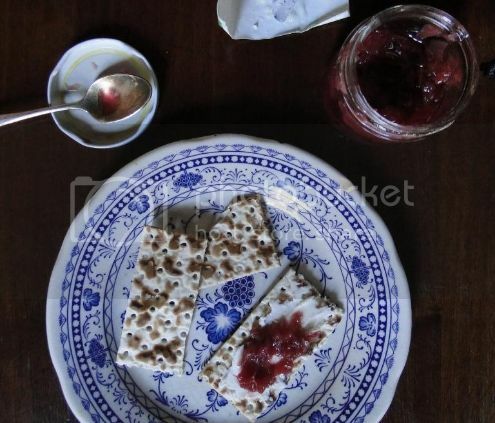 Best way to enjoy rose jam is eating it on slices of cucumber accompanied by Armenian string cheese. Great suggestion Manuel! I will certainly try that combination. I imagine cucumber freshens up the sweetness and what isn’t improved with cheese? HELLO, PLEASE TELL ME WHERE CAN I ORDER THE JAM. WEBSITE MAYBE? thank you vic.